For most content, Sitecore has a dedicated Web Control that renders it: sc:Image, sc:Text, sc:Link, etc. But in many cases, something like sc:Currency would also be very convenient, for the rendering of prices. Sitecore has not yet provided a solution. The solution at http://deceptacle.com/2011/07/07/sitecore-money-field/ is not sufficient, because it does not have Page Editor support: the output is not editable in the Page Editor. So we have to modify it a bit. 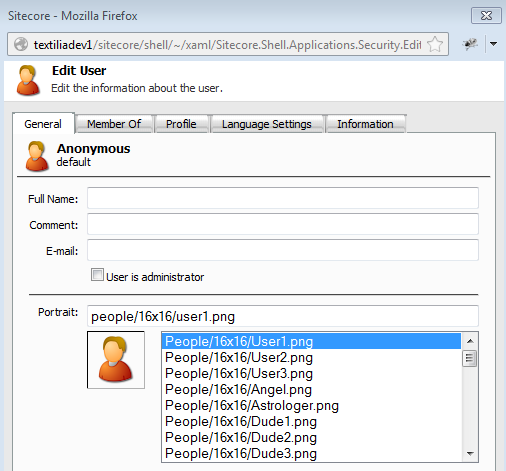 Sitecore enables user management for the website with the Sitecore security tools in the backend. There are a few properties of the user entity that are out of the box, like ‘Portrait’. The Metro is coming. Windows 8 will be available for consumers on October 26, and the UI of the new Microsoft operating system is known as “Metro”. The Metro User Interface is arguably the greatest change in the history of the OS, and it is completely optimized for touch and mobile devices. Sitecore supports the management of multiple website in one CMS environment. All sites could have a different domain name, and the same Sitecore backend. This is very convenient, because it increases the reuse of controls for developers, and the reuse of content for content managers. But because all sites have a unique domain name, they should also have a unique Sitemap.xml file for Search Engines. The Sitemap.xml file is submitted to Search Engine Robots to index the pages of the the site.